Loans can be applied for by Missourians with disabilities, family members, etc. for wheelchairs, electric scooters, hearing aids, augmentative communication devices, electronic print enlarging devices and for other equipment made for people with disabilities. Loans may also be made for the costs of assistive technology services such as an evaluation or trainings to learn how to use a device. Can The Loan Be Used For Home Access Modifications? Loans may be made for home owners for home modification purposes such as: wheelchair ramps, stairway lifts, widening doorways, and bathroom modifications and more. Loans toward the general repair or purchase of homes are not available. Can The Loan Be Used For Vehicle Access Modifications? People may get loans for disability-related changes to motor vehicles such as wheelchair lifts, ramps, or hand controls. As of July 1, 2016, Missouri Assistive Technology Show Me Loans program, will no longer offer a financing option for vehicles. We will continue to offer financing for the accessible equipment on new or used vehicles, up to $20,000. A mobility vendor can help with breaking out the cost difference between the vehicle itself and the cost value of the componets that makes the vehilce accessible. From $500 up to $15,000 and up to $20,000 for vehicle modifications after 7/1/16, may be borrowed through the program. For most borrowers, the interest rate is from 2% to 4%. You may contact us at the number below if you have questions about interest rates. The term of the loan will depend in part on the type of equipment or modifications you are applying for. Individuals with a disability, or a family member or someone with a disability, can apply, and must be buying assistive technology that will enable one or more individuals with a disability to become more independent. Loan applications are reviewed by a review committee. If an applicant has credit history problems, they may contact the program first to ask about applying. People with credit history problems may also consider applying with a co-applicant with a more favorable credit history. Download and print a Show Me Loans Loan application, sign, and mail original with attachments. If you have further questions you may call or email the contact information below. Use the Loan calculator to forecast monthly payments. 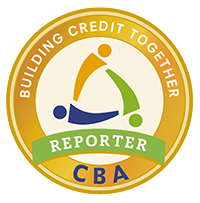 Borrowers that participate in the Show Me Loans program are able to have their loan repayment history reported to TransUnion and Equifax credit bureaus through our partnership with Credit Builders Alliance.